I can’t believe we’re already halfway through January 2015 – I wish I had a slow motion button I could push, it all goes past way too fast. 2014 gave me plenty of chances to sample a wide range of cuisine all around the beautiful city that is London. This year I tasted Peruvian and Korean food for the first time and totally loved both of them. I also learned more about the flavours of Vietnam as well as discovering new venues to sample some of my favourite cuisines. Here’s a taster of my London food adventures from last year. This amazingly beautiful seafood dish was served up at Restaurant Story just south of Tower Bridge (201 Tooley Street) as one of a range of snacks and dishes on their fabulous tasting menu. 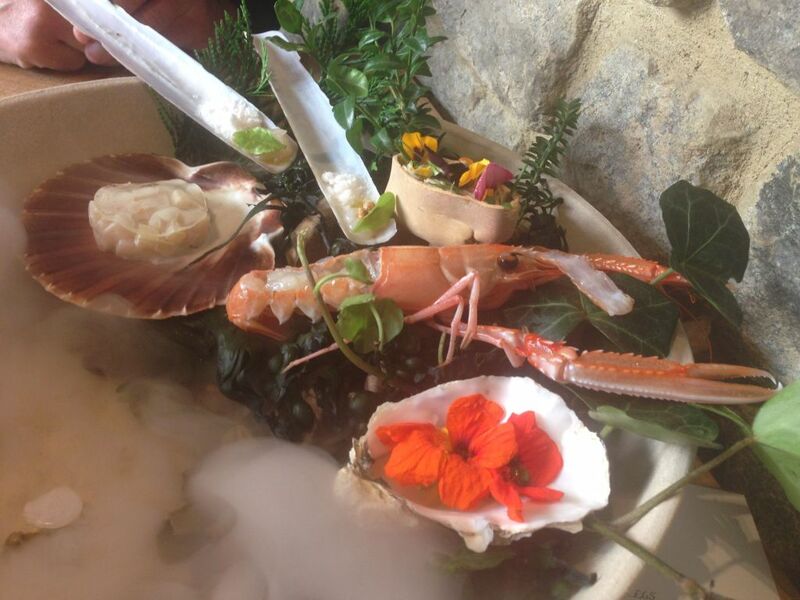 It was foaming on arrival and the mist cleared to reveal a beautiful garden under the sea with razor clams, scallop ceviche-style, devilled crab and marinated prawns on a bed of stones, seaweed and flowers. Chef Tom Sellers is incredible creative and his menu offers you a fascinating trip around the world of scientifically constructed food that’s beautifully presented and tastes fabulous, too. One of the cuisines I learned more about in 2014 was from Peru. I even managed to get hold of some fabulous Peruvian ingredients and cooked a range of exotic dishes at home. 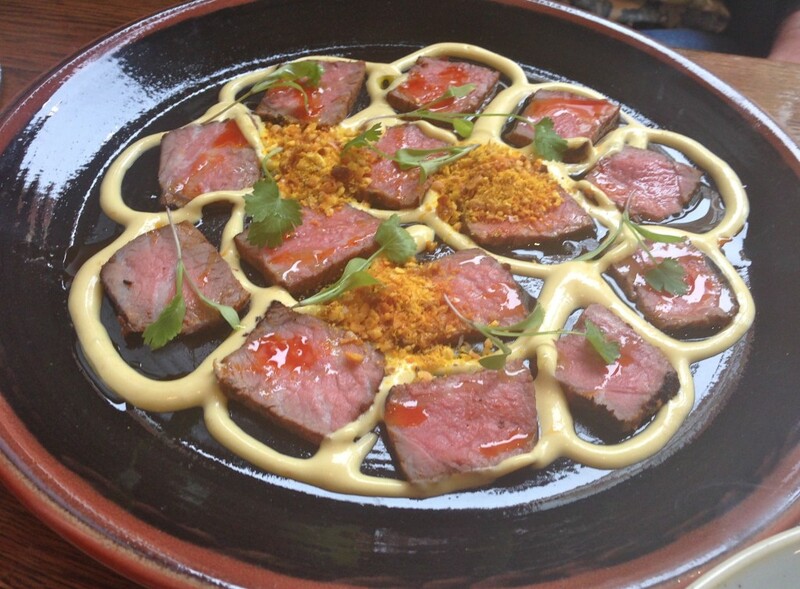 This lomo steak Luancaina from Lima in Fitzrovia (31 Rathbone Place) was served with yellow aji sauce and goa cress. Aji are chilli peppers that are widely used in Peruvian cuisine, in this case to make a delicately creamy sauce which was served with rare, tender beef. From Peru to France. I visited the new Paul Restaurant in Covent Garden (29 Bedford Street). The original bakery opened in 1889 near Lille and since then spread around France and the UK selling mouth-watering cakes, pastries and bread. 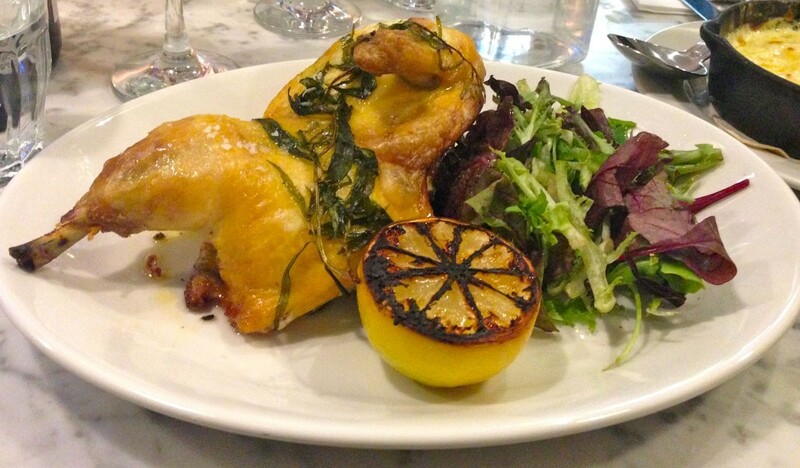 This is their first venture into a restaurant and serves classic French cuisine done perfectly. After a discussion about whether one should order roast chicken in a restaurant (overall consensus no), I asked for the roasted free range corn fed half chicken marinated in tarragon, lemon and garlic. Best decision of the day – this is roast chicken like no other. Next stop is Ember Yard in Soho (60 Berwick Street W1) which takes its inspiration from the Spanish and Italian method of cooking over charcoal – hence the embers, I guess. These two cuisines combine to offer a lovely choice of tapas-style dishes. 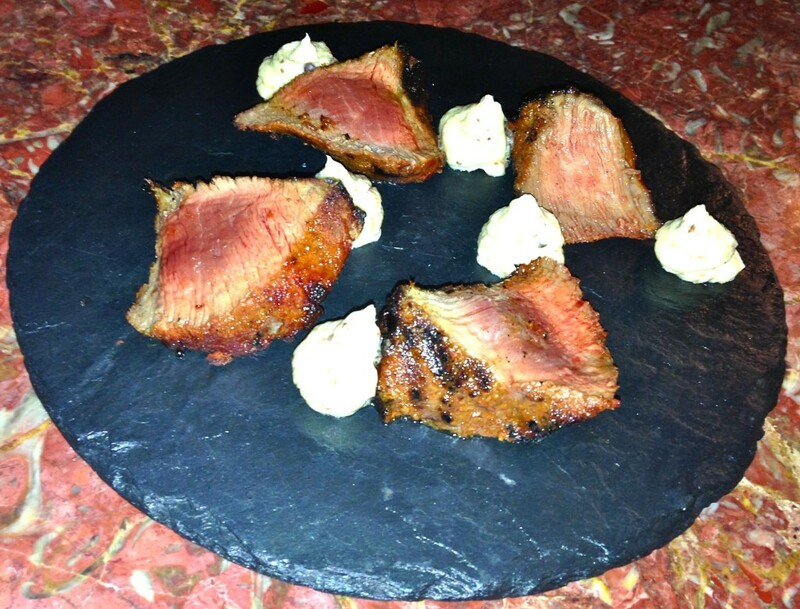 The grilled Iberico presa (which is kind of the pork equivalent of Wagyu beef) was served with whipped jamon butter. A total taste sensation – the Spanish really know how to raise, cook and serve a pig or two. 2014 was also a year to learn more about the fresh flavours of Vietnamese food. Mien Tay in Battersea (180 Lavender Hill) is a casual local eatery with a packed menu of traditional cuisine at really great value. 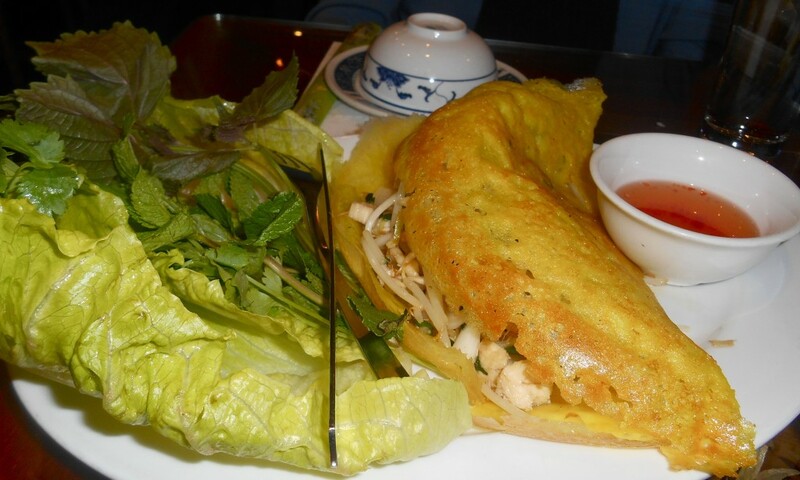 This substantial starter of a crispy pancake stuffed with chicken and beansprouts arrives piping hot at the table. 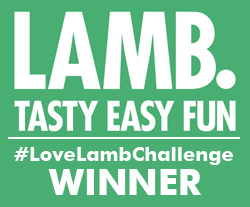 You then need to slice it and wrap the substantial chunks in lettuce leaves with lots of fresh herbs before dipping into the tasty sauce. Vietnamese cuisine demands a lot of hands-on eating. La Tagliata (11 Sandys Row) is a short walk from Liverpool Street Station on the edge of the City of London. Their totally simple menu offers one starter (pasta) and a main course of tagliata. 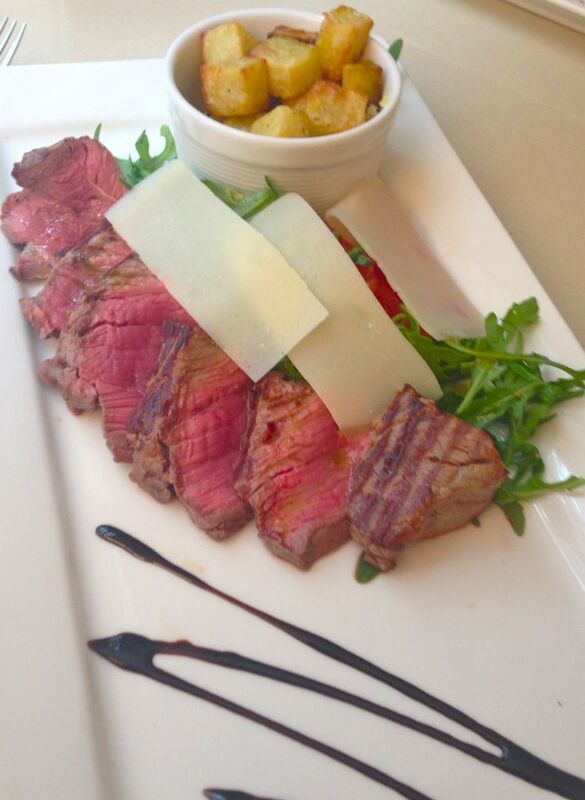 This traditional sirloin steak cooked, sliced and served on a bed of rocket, parmesan and cherry tomatoes is a classic dish that needs a lot of celebrating. The crispy potato squares were carb perfection…and hooray for a menu that involves only the tiniest bit of decision making! Tagliata was also witness to some unusual restaurant behaviour from me – I ordered, loved and polished off a dessert. I’m not much of a dessert or chocolate lover but for me it doesn’t get better than this wonderful strawberry panna cotta. 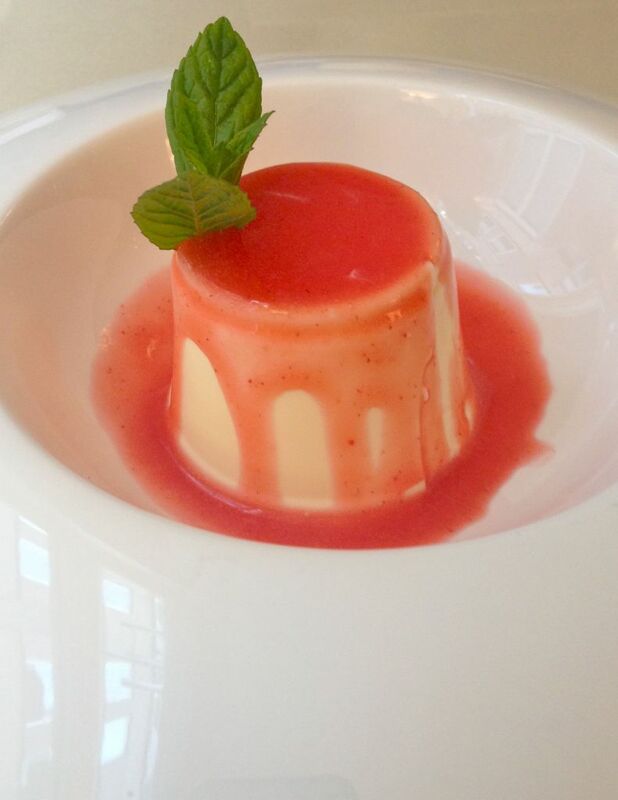 Bring on more panna cotta in 2015. A new discovery in a part of town I don’t often visit made for a fabulous night out. Salaam Namaste (68 Millman Street) in Bloomsbury offers wonderful modern Indian cuisine with a regularly changing specials menu. 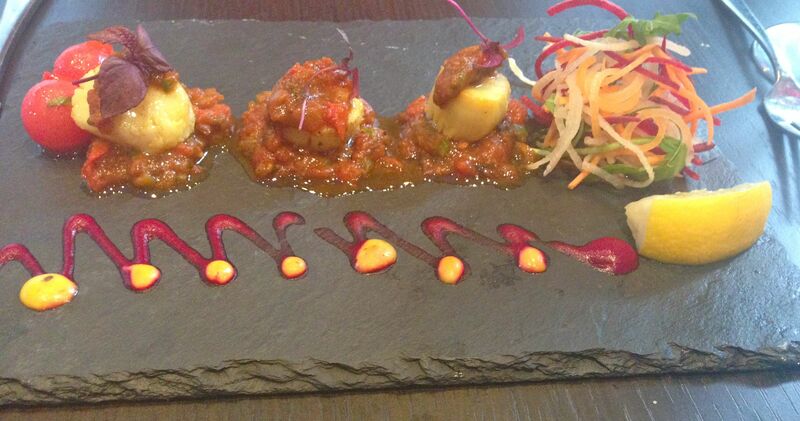 I had this Goan-spiced scallop starter with mango salsa, presented with flair. 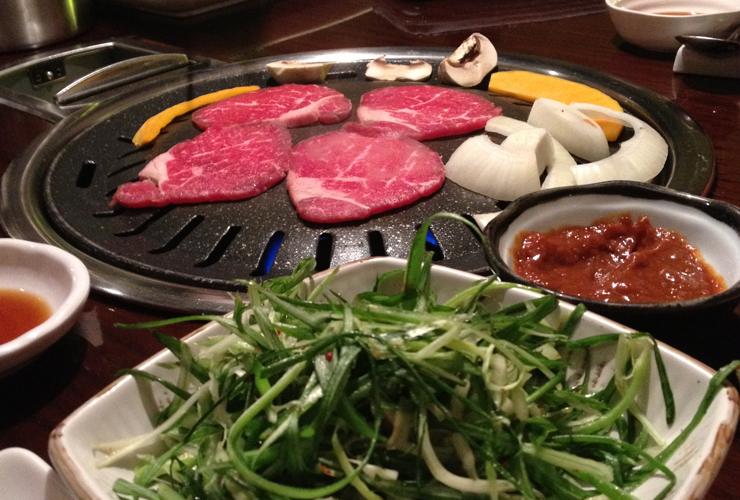 Korean’s another cuisine I discovered in 2014 – and tucked into at Koba again in Fitzrovia (11 Rathbone Place W1). This amazing assortment of meats, prawns and vegetables, including marinated beef sirloin, sweet and spicy chicken and sweet and sour sauce comes on a platter for you to cook yourself at the table. Delicious aromas engulf you and once everything’s ready you wrap it up in lettuce leaves with condiments like soya bean paste and diced spring onions with chilli vinegar. Great food with a lot of ceremony involved in eating it. I’m a bit of a Gordon Ramsey fan, having found him perfectly charming when I met him and particularly loving his Union Street Kitchen in Southwark. So when a new place opened in his stable, I had to try it out. Of course, Gordon isn’t in the kitchen himself, at Heddon Street Kitchen just off Regent Street (3-9 Heddon Street), Maria Tampakis, who hails from Brooklyn, NYC, is in charge. She describes her food as “seasonal, modern European food spiked with Asian influences. A stylish restaurant in one of my favourite hidden streets in London where I enjoyed a delightful starter of roasted veal carpaccio, dill pickles and quails eggs with a tuna dressing. 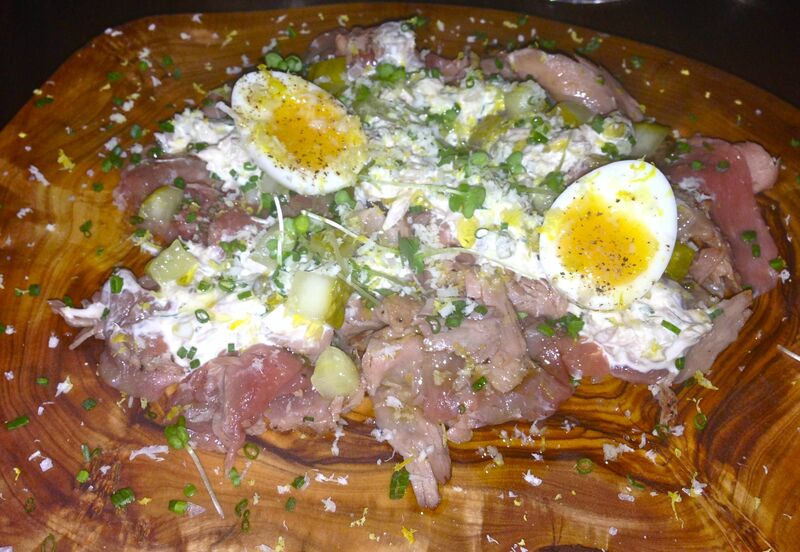 Amazing fresh flavours reminscent of one of my all-time favourite starters, vitello tonnato. What are your favourite restaurants in London? Where should I be visiting in 2015? Do get in touch with your suggestions, I’d love to hear from you.